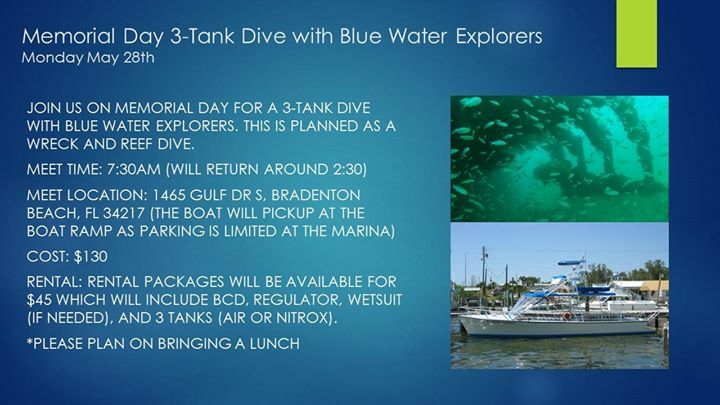 Join us on Memorial Day for a 3-tank dive with Blue Water Explorers. This is planned as a wreck and reef dive. We have 10 spots available for this trip. Rental: Rental packages will be available for $45 which will include BCD, Regulator, Wetsuit (if needed), and 3 tanks (air or nitrox).